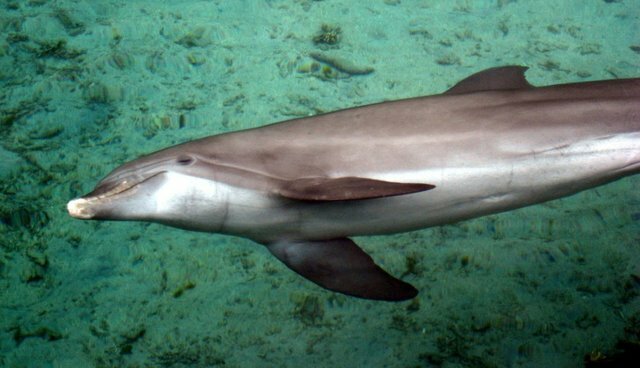 Using Dolphin Drones as Servants of War: What Do They Think? Research in anthrozoology (the study of human-animal relationships) has clearly shown that our relationship with nonhuman animals (animals) is a shambles (see also Animals and Us). Some of the animals we claim we love are brutally abused and killed and the inconsistency between what we say and what we do on their behalf is dishearteningly dissonant. Let's briefly consider the use of animals as weapons of war. Various animals are used to fight our wars and it's known that dogs, at least, suffer from PTSD when they're done being forced to serve. The popular movie War Horse was instrumental in bringing widespread attention to the use of animals in war and there are many books focusing on war animals. Nonetheless, their use continues. A recent essay in the New York Times by Philip Hoare titled "Let Slip the Dolphins of War" is a most thoughtful brief piece that raises many of the important questions. It will be read by a wide audience who might otherwise not pay much attention to the use of animals in war, and I was surprised by the wars in which dolphins were used. Much of the use of animals in war is hidden from a largely uninformed public. But, perhaps, no longer will this be the case. What do the dolphins think and feel about being used as "animal drones"? Given what we know about the cognitive, emotional, and moral lives of other animals it's a fair question to ask what they might think and feel about being used as tools of war. As Dr. Hoare correctly asks, "But if we apprehend that dolphins are moral beings, then might they themselves object to being weapons of war?" I've written a lot on this subject as have Emory University's Professor Frans de Waal and noted science writer Dale Peterson, and I too have wondered what the animals might think about being used as weapons of destruction. I really don't know right now, but even if they cannot weigh on this question, at least for now, the big question that needs to be openly and widely discussed is, "Should 'animal drones' be used at all?" Perhaps in the future a keen group of researchers will be able to collect data that bear on this question. However, we don't have to wait for these data to ponder the morality of sending animals to war. My take on this question is "No, animals shouldn't be used as war machines", and I hope Dr. Hoare's essay will be widely read and discussed and that people will weigh in on whether or not animals should be sent to fight our wars. Cruelty can't stand the spotlight and it's about time that a broad audience seriously ponders the use of animals in war. The reasons for objecting to the use of animals in war go beyond mere sentimentality. However, deeply feeling for these individuals as sentient beings and being extremely worried about their well being is also a very good reason for objecting to their use. A large part of the process of personally rewilding ourselves is to pay attention to whom other animals truly are and what they want and need. We need much more consistency between what we say and what we do to protect other animals.